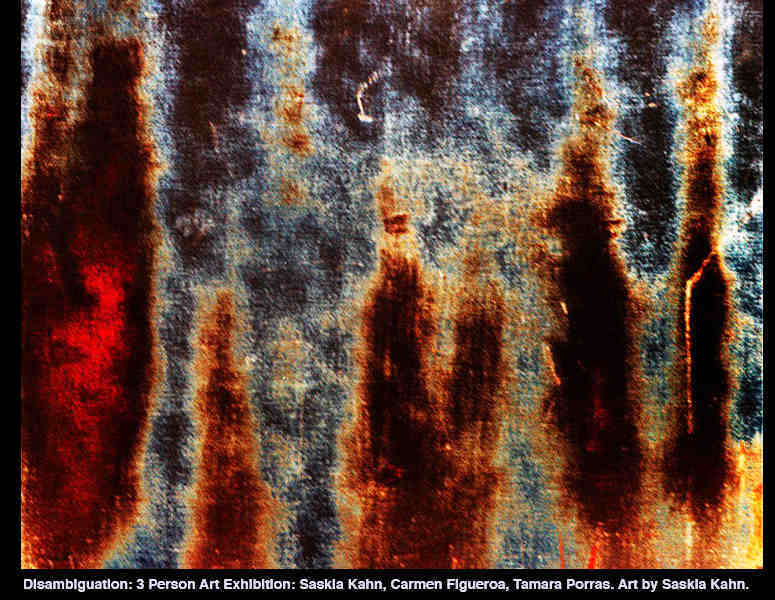 Disambiguation: 3 Person Art Exhibition: Saskia Kahn, Carmen Figueroa, Tamara Porras. “Disambiguation”is a collection of work from three Brooklyn artists that touch upon the dark truths of these times, in this city through visual symbolism. Disambiguation, synonymous with decomposition, is about recognizing that all things have their peak, and from there they move away from their ideal form. Each of the three artists, Carmen Figueroa, Tamara Porras, and Saskia Kahn, represent three different pillars of inevitable passage: Spiritual, Architectural, and Material.